Here’s how a layered bob looks at the back and it’s a fabulous example of expert cutting and beautifully judged colour accents. From the crown the layers are cut for volume and then the hair is carefully graduated down to the nape to emphasise the shape of the head. The side layers have textured tips which give a feathered look to the outline as it moves down to the longer layers at the front. 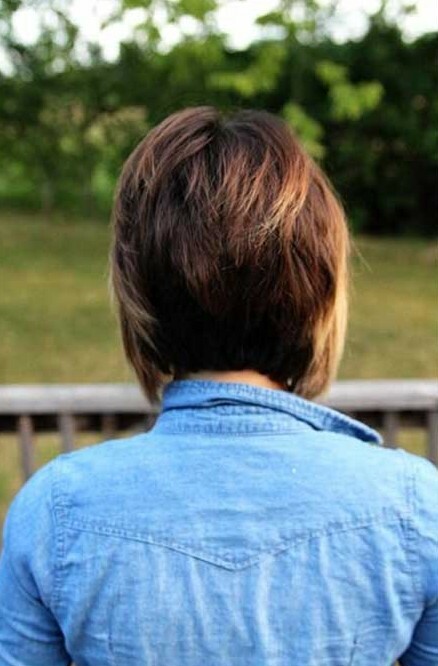 Do you love this Graduated Bob Hairstyle? And you can find more in the bob hairstyles gallery.